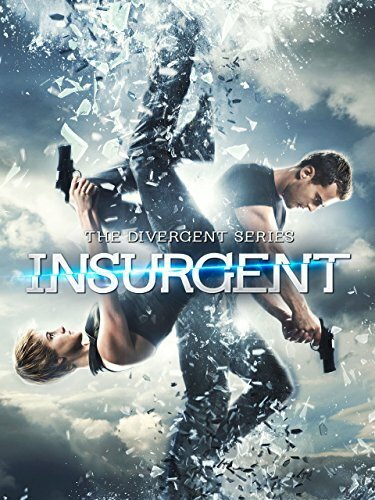 Tris and Four race to unlock the truth about the past in this star-powered, action-packed second adventure from the DIVERGENT series. Man am I happy I waited for this to be out of the theaters, I would have been disappointed to have paid money to watch this completely uninteresting and formulaic film that had nary a moment of real dramatic tension. Apparently the world is in chaos and teeters on the edge of oblivion, but it’s mostly about knowing glances, spoken love and hot people standing around looking hot with big future guns that they only shoot when absolutely necessary and usually with no blood. Normally having hot people in a film can somewhat distract (and Shailene Woodley is smoking hot in Insurgent) but it wasn’t enough to capture my attention. Maybe I need more teen angst in my life to really grok this type of film, but really, my adult angst is enough. Smoking hot? With mom hair?